Reading is one of the most enriching times to spend time off both for kids and adults. There are many ways it enhances our knowledge, skills and personality, mainly as a child. Not only it improves our writing. A fantasy book will trigger your kid imagination and creativity, political books and non-fiction books will make you aware of current issues and provide you knowledge about them, for example. Luckily, there are several bookshops in Oxford where you can purchase this source of culture in the shape of the top books in the world and the best United Kingdomn books. Very important since people is increasingly getting interested in local writing. 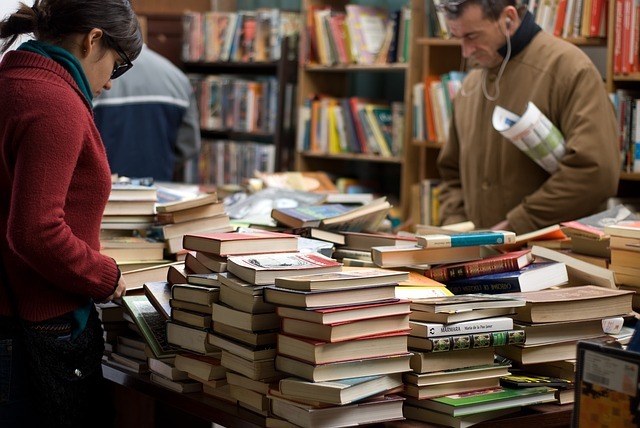 Apart from having available the best books for sale, some of these stores organize interesting activities such as storytelling time with lovely children books or book clubs where you can get together and share your perception about the last novel you all have read, creating your own book review. Stationary products and school books are also for sale. Whether you are looking for textbooks for sale, the perfect gift, second hand books or you just want to get lost among book summaries before choosing one, you should have a look at the directory that Infoisinfo has prepared for you. Purchase every book you are looking for thanks to the best book stores in Oxford. At Infoisinfo we always work hard to be able to provide you with the most useful information so that you can easily find the best products and services for you and your company in Oxford. We know how much you enjoy a good novel book before bed. Treat yourself and buy the bestselling books thanks to the list of the best book stores in Oxford that we have written down for you. Get in touch thanks to the contact details available on our site, such as phone numbers, websites, address and opening times. In addition, you can have a look at comments and valuations from other readers to get a better idea about each book seller.